President Trump signed an executive order that will withdraw the U.S. from the Iran nuclear deal. The presidential memo starts a 180-day countdown timer for the Trump administration to re-impose all of the sanctions on Iran that were relaxed under the Obama-era deal. The Unites States will revoke certain permissions, given to Iran under the nuclear deal, on Aug. 6. 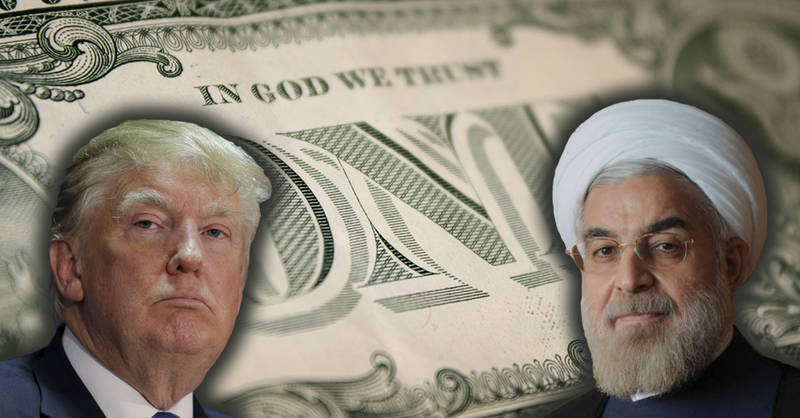 These include stopping Iran’s ability to export its goods, including carpets and foods into the United States, as well as ending certain licensing-related transactions. Amid the uncertainty, many middle-class Iranians are withdrawing their savings from banks and buying dollars to guard against a further depreciation of the currency, the rial, which has fallen by more than 40% against the dollar since December and plunged to a record low in early May. To stop the hoarding, which keeps cash from circulating in the economy, Iran has imposed a limit of about $12,000 on the amount of foreign currency that citizens can hold outside of banks.